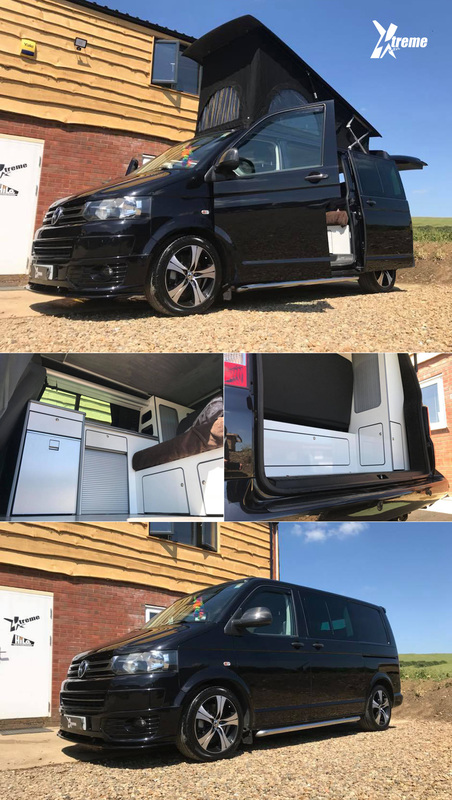 Our VW T5, T6 Camper conversion packages are designed and fitted to your specification. Every stage of your conversion is completed at our workshop here at Xtremevan. Our Team pride them selves with a very high standard of workmanship and finishing with care and attention to detail always being our main priority. For all PUBLIC and TRADE enquires please call us on 01858 432700 or 0116 2430975 to discuss your options, specification and prices. Check out the latest Campervan Conversions below.